Welcome back to our weekly Statcast Hitter Analysis series. Each week, I will select a different metric to evaluate surprising names at the top and bottom of the Statcast Leaderboards. Many fantasy baseball owners are starting to see the value of MLB's Statcast advanced stats in order to help identify potential risers and sleepers. Just as we do for pitchers, this weekly series will examine a handful of hitters who are performing surprisingly well or poorly according to sabermetrics. 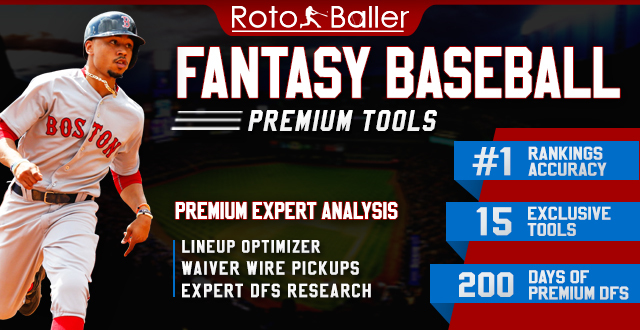 One statistic that isn't likely to resonate with casual baseball fans, but fantasy owners and sabermetricians value greatly, is xwOBA. The x, you may know, stands for "expected" and looks at how batters should be performing according to Statcast. 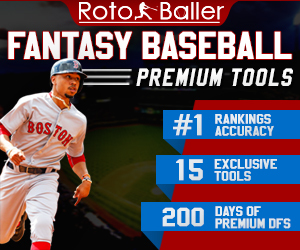 Not many fantasy leagues use on-base average to reward owners but it can foretell of a player's potential to score runs, steal bases, or maintain playing time. I won't tell you that Mike Trout is at the top of the list and don't need to mention Daniel Vogelbach's hot start again. Instead, we'll dig up some names of interest that you might not expect. 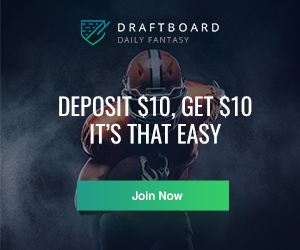 Aside from simply finding out who is performing well for their teams, fantasy owners can utilize this data to find risers and fallers to identify as buy, sell, add or drop possibilities. Connelly Doan examined the pitcher side of the leaderboard for this metric just last week. If you want to know who the xwOBA leaders from 2018 were, we've got that right here. Now, let's get into the hitters who are standing out in this regard as we head into Week 3 of the MLB season. All stats current as of April 14, 2019 and display leaders among hitters with at least 25 PA. If this were a piece on Barrels or Exit Velocity, Sanchez wouldn't make the list. It's hardly shocking that he can rake when in the lineup. The headline here is that Sanchez is getting on base without depending solely on the long ball. Don't get it twisted - the 4.4% walk rate is still bad and a .268 batting average isn't astounding, but it's a lot better than last year's .186. Sanchez isn't just performing up to his ADP, he's underperforming his expected numbers. A .439 wOBA is 105 points behind the xwOBA, so we could be seeing better numbers. That assumes he gets back on the field soon, of course. Sanchez just hit the Injured List with a calf strain, so now his owners are going from ecstatic to panicked as they must find a catcher that somehow is capable of producing fantasy value over the next two weeks. It seems getting injured is the new Yankee Way. Reyes has mostly been a bust in the first two weeks of 2019, but he should be doing far better. 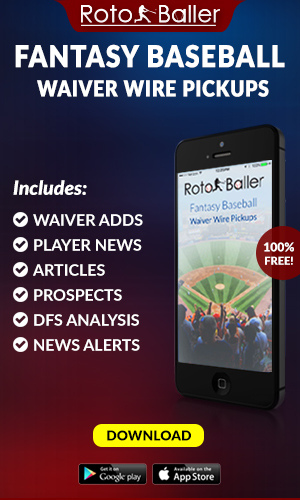 Reyes is the single biggest underachiever, with a league-leading differential of -.187 on his xwOBA-wOBA. His plate discipline has made an astonishing turnaround, with a 4.5% K-BB% after last year's 19.7% K-BB%. Reyes has found himself in the two-hole despite a low batting average because of his ability to draw walks and induce long counts as he did against Zack Greinke on a couple of occasions Sunday afternoon. Reyes may have been ditched by some impatient fantasy owners already, but the numbers show that he could be a player to add or buy-low in the coming week before positive regression comes. If you own Goodrum, it's likely because he qualifies at almost every position and you like the flexibility. You should also like the fact he's slashing .293/.420/.512 and has drawn nine walks compared to 10 strikeouts in 13 games. The Tigers have proven to be more competitive than we expected and that's without Miggy getting hot yet (he will eventually, right?). Goodrum is a sneaky value and realistically belongs on rosters in all leagues with 12 or more teams. The power and speed combo haven't shown up just yet but he could definitely put together a 20-15 season after last year's 16-HR, 12-SB output in 492 plate appearances as a utility player. This might seem irrelevant for fantasy purposes at first glance, but what if I told you that his main competition for playing time, Jung Ho Kang, is in the bottom 10 of this very metric? Kang is currently 285 out of 294 qualified batters with a .189 xwOBA, whereas Moran ranks 16th, just ahead of Ronald Acuna and Christian Yelich. Yes, small sample size, yadda yadda. The point is that Moran is vastly outperforming Kang so far and might force the Bucs into giving him the gig full-time if it keeps up. Moran has always posted strong walk rates and can hit for average but his power is lacking compared to his peers at the hot corner. Moran hit 11 HR in 144 games last year and posted a ground ball rate 15% higher than his fly ball rate. He's improved in that area as well as his hard hit rate so far, but it remains to be seen whether it's sustainable. For now, Moran can be a speculative add in NL-only or deep points leagues. The bigger news is that Kang's once-promising return is at a halt. Not many fantasy owners kept faith in Kemp being an asset in 2019. 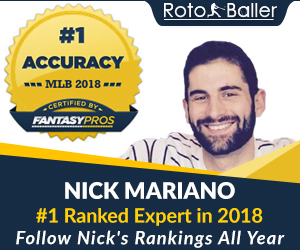 He was the 300th overall pick according to NFBC preseason data, meaning he wasn't even drafted in many 10 and 12-team leagues. That was a good choice. Kemp is off to a bad start in his new city despite a more favorable park for right-handed hitters. GABP ranked #1 in HR Park Factor for righties, yet Kemp has just one bomb this season. He's also shown a great aversion to drawing walks, declining to take a single free pass over his first 37 PA. His walk rate had rebounded to 7.1% last year, so it's not as if this is something we should have seen coming. His second-half decline last year could have been a sign but it's not as if he fell off a cliff either. Kemp could find his playing time decrease if things don't correct themselves soon, but that probably means more for the other players o Cincy's roster than Kemp himself. From sleeper to bust in the blink of any eye. Such is life for a hyped-up rookie in a seemingly great situation. The door was wide open for Hampson to contribute once Daniel Murphy and Ryan McMahon both landed on the IL. Instead, he's gotten off to a .170/.184/.234 slash line with no steals. The biggest concern is plate discipline naturally, as he's struck out 14 times compared to a single walk in 47 at-bats. Hampson hasn't found a way to get on base, which doesn't bode well for his ability to contribute in roto leagues under a conservative skipper. The Rockies are 27th in stolen base attempts per game at 0.40 and aren't likely to let Hampson loose until their bats start producing more quality contact. If there's a silver lining, it's that Hampson does seem to be warming up as the season progresses. He singled Sunday to put together a modest five-game hitting streak. That's only eight hits in his last 21 at-bats, seven of which were singles, but at least it's something. Peraza hasn't taken a walk yet this year in 42 plate appearances. That's a problem for a guy who's also hitting .178 and relies on stolen base opportunities to provide fantasy value. He's not the only Reds player on the bottom of this list: Jose Iglesias, Yasiel Puig, and Scott Schebler all fall outside the top 200 batters for xwOBA in the early going. The team has struggled with injuries, suspensions and cold bats in key places to conspire against fantasy owners who invested in what should have been a potent offense. They've picked up the pace lately, scoring exactly five runs in five of the last seven games, and throwing in a 14-run outburst in the middle (against the Marlins granted, but it still counts). Peraza hasn't been part of that resurgence, not picking up a hit since last Tuesday and going 0-for-4 on Sunday. It may be too early to panic, but looking long-term there could be reason for concern. If Scooter Gennett comes back by mid-May, Nick Senzel finally gets healthy, and Derek Dietrich keeps hitting, Peraza could find himself in a crunch for playing time if he's still hovering around the Mendoza line. There won't be a market for him, so he's at best a player to stash for now. Don't hesitate to cut bait if he doesn't snap out of it soon though.